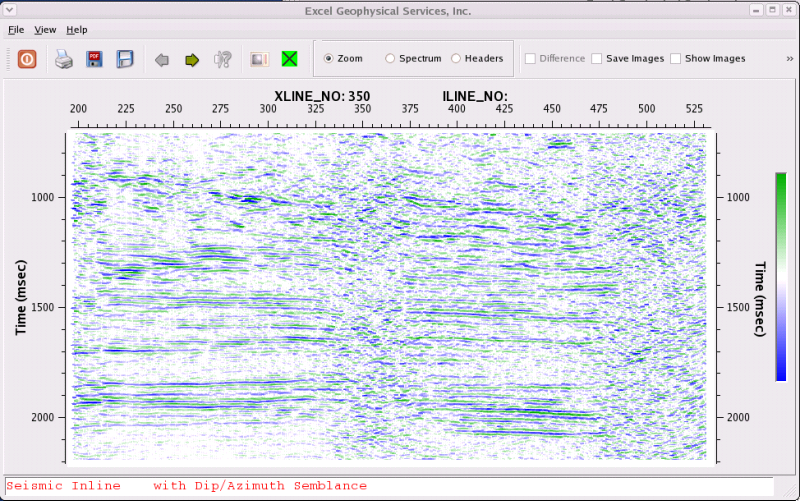 Perform time/space variant dip and azimuth semblance on 3D stacked seismic data. Several output attributes are computed including: dip, azimuth, semblance, model, subtract, and coherency. The dip and azimuth attributes can be used in other processing tools to compute additional attributes like 3D Volumetric Curvature. A popular option is to improve the coherency of the seismic data by building a model extracted from the semblance attribute. This model is then added to or subtracted from the oriiginal seismic data. This techniique will improve reflection events and increase the signal-to-noise ratio. 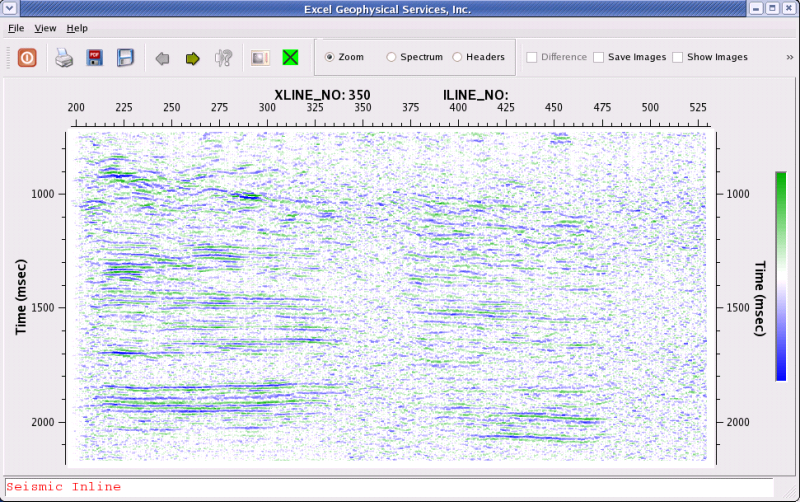 Seismic line after applying Dip/Azimuth Semblance using the Coherency attribute.